Should you get a professional deck design before building a deck? There are numerous professionals out there that will provide you with deck designs that often include hardscaping, landscaping and even patio furniture. Following considerations should be made in order to decide whether you should get a professional to design a deck for you. First up, determine the time you are willing to give to the remodeling/renovation of the deck design. It has been approximated that for a simple looking wood deck with 12x24 elevation along with a staircase and railing would require a professional and their laborers around 2 weeks to complete. If you want the deck design to comply with the present codes and to have the correct materials for its construction, then you should hire an experienced and qualified deck-designing professional. Through that professional, you would be able to get the estimate on how much time it will take to build the proposed deck design and which resources should be at the ready to keep to that estimate. An additional advantage of getting a professional design deck is that it will include any countering measures should the uncertain situations arise, for instance, you would be covered when there is a sinking deck footing or a dry rot. And all this would be ensured with the proposed timeline. Getting a professional design would mean that you would be saving yourself from needless investment should the problems arise in spite of having a planned design. 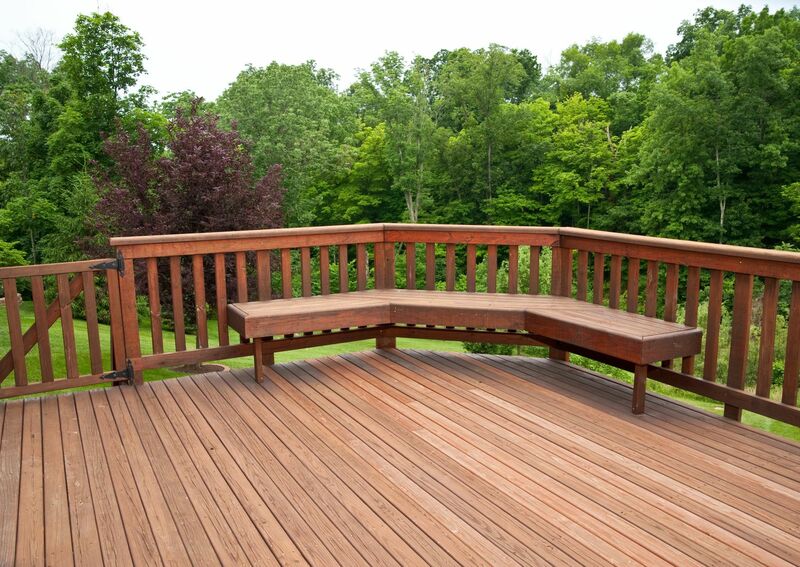 Secondly, you should ascertain the needs and preferences you have for the deck remodeling. There might be some minor issues that you want to be tackled, or you might want to cater to some severe underlying deck issues. You could save yourself from investing heavily into getting the professional deck design if all you have are weathered and dirty surfaces which could be well-treated with pressure washing and some refinish treatment. These minor procedures do not take much time and can be executed with no prerequisite of having any professional experience. You can also reduce the cost down further by getting the required equipment and supplies on rent such as application tools, oil, varnishes, power sanders, and pressure washers. There is another aspect that will make you decide whether you want to get a professional deck design or not. Try weighing the features which are included in the deck design and think whether you need them or not. A typical professional deck design would have a proposed deck layout with all the measurements and drawing; the layout will be shown from all angles and will be rendered in three dimensions; all the components (stairs, railings, etc.) will be shown; specifics for the process of building permit application; list of materials and the installation time estimation. These drawings become quite handy in the construction phase. Through this design, the constructor would be able to expand upon the correct materials to use and will also be able to make revisions. This will smooth out the building permit application process. Furthermore, the design could also be used to examine the expertise and of the constructor and to also compare the prices at which the deck is being constructed. You should be well equipped to measure the importance and efficacy of the design by the offerings it makes and the details it mentions and whether the design is easily decipherable. All in all, there are three major factors you should keep in mind to decide whether to get a professional deck design or avoid it. The first consideration is the overall scope of the project, whether it is big and costly enough to mandate a professional touch; secondly, whether you have a time constraint, and lastly whether your needs and preferences require an experienced professional.